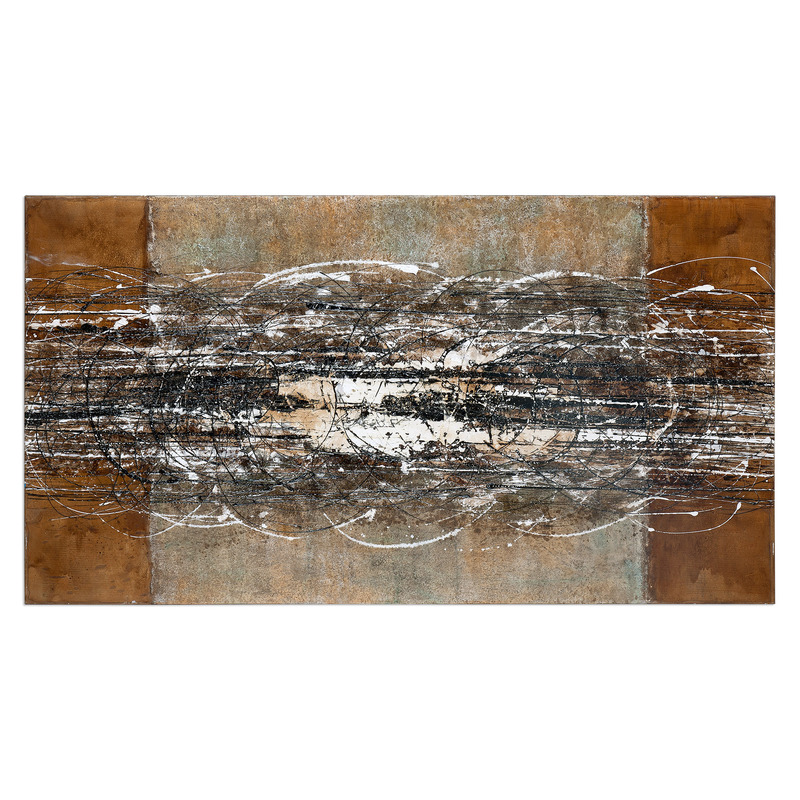 An Abstract Work Of Art, Hand Painted On Canvas, Features A Menagerie Of Earth Tone Colors. Canvas Print Comes Stretched And Ready To Hang. Due To The Handcrafted Nature Of This Artwork, Each Piece May Have Subtle Differences. Hand Painted Canvas Over Stretched Frame. The Art Frantic Abstract Art at Ruby Gordon Home in the Rochester, Henrietta, Greece, Monroe County, New York area. Product availability may vary. Contact us for the most current availability on this product.